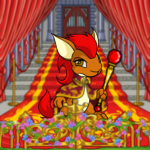 Description: Are you a nice Neopian or Evil? Description: Searching for the perfect petpet? Well, search no longer! Description: I never thought the day would come when I would be ashamed of my sister, but it has. Description: "You lied to me! Both of you!" he said, finally turning to face his original owner. 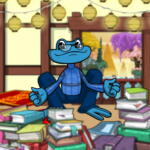 Description: That friend, that perfect Petpet, was nowhere, gone from Neopia. Invader wondered if there was even such a thing. Description: Mud hadn't been the first thing I thought was covering her when she walked in. Description: This wasn’t a good life. It was a terrible existence. He was nothing. Description: No one sane would actually want to visit the Beast. Description: I want to tell you a story about what my life has been like up until now... It wasn't as easy as it seems it would be! Description: "I don't want to go to the Haunted Woods!' I complained, crossing my little Baby Grundo arms. Description: We would make land for the night, and take on Krawk Island tomorrow. What does he REALLY do during the day?